These wood thrushes were singing and nesting on our property near Easley in central Missouri. They are one of the great joys of living in our block of forest. Have you ever heard the sound of a Wood thrush? It is a beautiful song but one that is quickly being silenced as these migratory song birds lose their homes due to deforestation. Many of the forests along their migratory route are being torn down, leaving Wood thrush without a place to rest. Deforestation is even an issue in Canada. 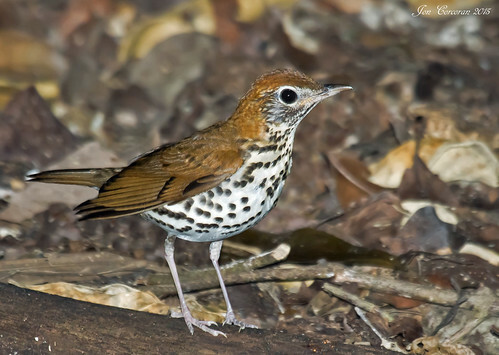 After their long migration, Wood thrush return to fragmented forests, leaving the Wood thrush's nests and young unprotected and vulnerable to predators. One of the best ways to help the Wood thrush is to protect and restore their habitat. Holcim Canada has been working to rehabilitate an old quarry in Wood thrush territory in hopes of providing animals with a permanent home. 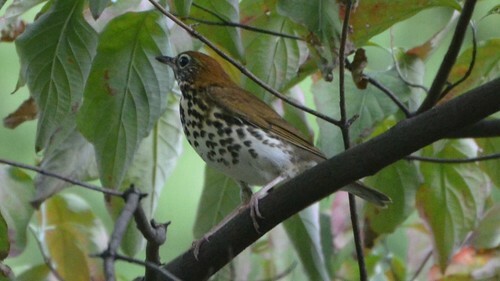 They have spotted many animals using the land, including Wood thrush, which shows how habitat restoration can work wonders for rebuilding a species' population. An intimate look at a Wood Thrush pair tending their nest in Sapsucker Woods at the Cornell Lab of Ornithology. Kathy Mattea -" Wood Thrush's Song"
An acoustic preview of the songs from Kathy Mattea's album, Calling Me Home, on Sugar Hill Records.